C. LYNN SWISHER, PH.D., M.B.A., R.N., N.H.A., C.H.C.Q.M., F.A.I.H.Q. Lynn has more than 30 years of experience in organizational psychology, clinical care, clinical research, managed care and administration in the health care field as a respected professional. 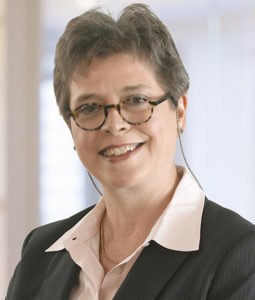 She consults with clients on health care risk and outcome measurement systems and assists clients in implementing performance improvement programs. Lynn provides management communication, leadership excellence and service excellence coaching to individual health care professionals, as well as health care facilities. Through her comprehensive coaching, professionals focus on conflict resolution, understanding the emotional influence on patient safety, respectful crisis management, team work and leadership strategies that facilitate increased staff productivity. Her proven techniques have consistently resulted in increased satisfaction scores for professionals. Lynn also serves as Interim CEO for facilities needing coverage during extended leave of absence and/or during CEO searches. Early in her career, Lynn was Assistant Administrator/Director of Nursing for a 130-bed retirement community where she coordinated the facility’s successful Joint Commission accreditation process. In this role, she also facilitated strategic planning, established a credentialing and privileging system for the facility Professional Staff Organization and provided extensive training on performance improvement, team building and risk reduction. As President of Chase Health Specialists, she coordinated, planned and directed management and consulting operations for client operational and accreditation services. Lynn has presented programs on performance improvement, risk management and organizational management at national and regional conferences. She received a Ph.D. in Psychology and an MBA in Health Care Administration from the Southern California University of Professional Studies. She received an A.A. in Nursing from Harford Community College, is a Registered Nurse, a licensed Nursing Home Administrator and is certified in Health Care Quality Management (CHCQM). She is a Fellow of the American Institute for Healthcare Quality and is a member of the American Psychological Association, the American Board of Quality Assurance and Utilization Review Physicians, the Pennsylvania Nurses Association and the American Nurses Association. She served as President of the Board for the National Long Term Care Alliance for the Cultural Arts.